A gate hinged at the top is submerged under water. The gate is 2.5 meters long and 1 meter wide. 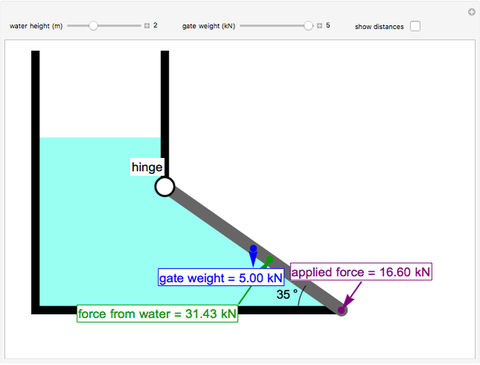 This Demonstration calculates the force that must be applied to keep the gate closed. 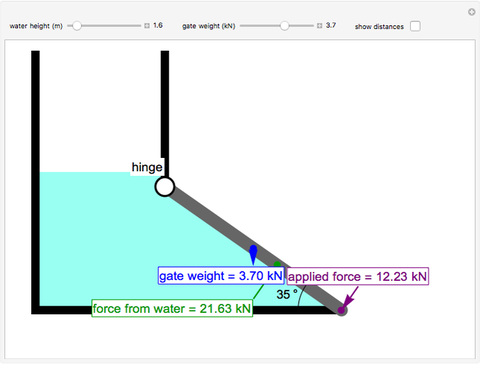 Use the sliders to set the water height and the gate weight. 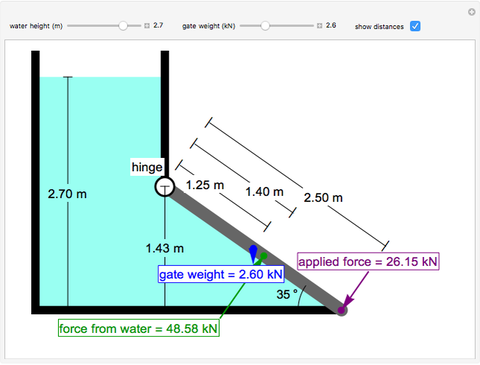 Check the "show distances" box to display distances. Rachael L. Baumann "Forces on a Completely Submerged Gate"